Senator Iwobi represents the late attempt by an Italian far-right party to show the world that it does not discriminate on the basis of the geographical origin of an individual. Newly elected Senator Toni Iwobi arrives at an event at Palazzo delle Stelline, in Milan, Italy, March 9, 2018. NurPhoto/Press Association. All rights reserved.In the recent elections held in Italy on March 4, that saw the surge of populist, Eurosceptic parties, one of the features that struck both public opinion and the media has been the election of the Nigerian-born Senator Anthony (Tony) Chike Iwobi. Senator Iwobi is not only the first Senator of African origin to have been elected in Italy, but also the first Sub-Saharan African to have been elected in Italy representing a far-right party, in this case la Lega (The League), formerly Lega Nord (Northern League), headed by Matteo Salvini. Before Senator Iwobi, the centre-right coalition had elected one other parliamentarian of African origin, but in the Chamber of Deputies: the Moroccan-born journalist Souad Sbai, elected to the Berlusconi-headed Popolo delle Liberta in 2008. 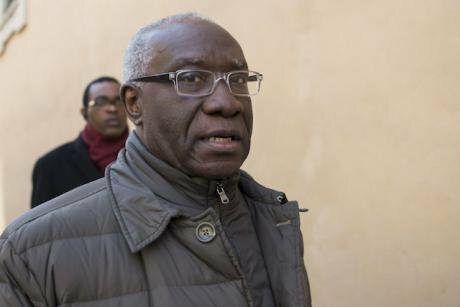 Senator Iwobi, 62, a Nigerian IT entrepreneur, married to an Italian woman, has spent 38 years in Italy and opened his business in Spirano (Province of Bergamo, in the Region of Lombardy), one of the strongholds of the League, where he also became a town councillor for the former Lega Nord in 1995. In the Italian Senate, Iwobi will represent a League that reported a remarkable 17.3% vote in the latest elections, heading the centre-right coalition. In the recent elections, the League did not attribute a very central role of its electoral campaign to any of the major still unsolved problems of Italy. It would have been interesting, for instance, if the League had focused its campaign on corruption when 2017 saw Italy ranked at the 54th position in the world, between Namibia and Croatia and sharing that position with Mauritius and Slovakia. But it did so only very marginally. It would have been interesting had the League focused on fighting tax evasion, for which Italy is seen as one of the worst, if not the worst performer in the European Union. But it did so very marginally. Or what about measures to seriously fight organized crime? – a very serious problem in Italy for decades. But it did not. In contrast, the League campaign, with tens of posts on the topic regularly occupying also the Facebook official page of Mr Salvini, has been the harsh defence of the rights of Italians against the arrival of aliens on Italian soil, aliens for whom a mass-deportation has been pledged by the League leader. Mr Salvini in accordance with the anti-immigrant sentiment of many Italians and also thanks to the rapid spread of 'fake news', has been busy pushing an anti-immigrant agenda, including energetic targeting of several Italian political personalities such as Laura Boldrini, former UNHCR Speaker for Italy, and President of the Chamber of Deputies in the legislature recently completed. Salvini himself remains famous for some controversial episodes, for example, at the time in 2009 when he was sitting in the Milan City Council, and proposed separate cars of the local metro for non-EU foreigners. More recently, in 2015, Nigeria refused to grant him a visa to travel to that country because of his anti-immigrant stance. Historically, the electorate of the League is famous for its radical positions against “invasion” into the north of the country not only of foreigners but also southern Italians (“Stop Invasione” was one of its most famous slogans). However, in recent years, in order to gain consensus on a national scale, League leader Salvini has stopped calling for the independence of Padania (an artificial State whose independence from Italy was the final objective of the former League North, according to Article 1 of the previous statute of the party) in favour of the protection of the rights of all Italians. Now, it seems that Salvini would like to put forward Senator Iwobi as an example of 'good immigration' to show that the League is not xenophobic. However in so doing, Salvini brushes over a few salient details, the first being that the regimes and procedures enabling people to migrate and to settle in Italy when Senator Iwobi first arrived in Italy (in the early 1980s) were nowhere near as complicated as now. In addition, a reader not familiar with the Italian electoral system adopted in 2017 and valid for the 2018 elections, might be persuaded that Senator Iwobi was elected by League voters, suggesting that they are not so racist or xenophobic after all. However, the Italian electoral system for the Senate is mixed, the 315 members elected as follows: 116 are directly elected in single-member districts (directly by voters), 193 are elected by regional proportional representation (as part of pre-determined lists) and 6 are elected by the Italians abroad. Senator Iwobi is among the 193 elected after having been placed in a good position in the local list of the League candidates to the Senate. But how much is the case altered if legal immigration has become procedurally considerably more difficult to achieve? In figures, in the two-year period of 2016-2017, Italy counted 226,334 new inflows from non-EU countries, bringing the total presence of non EU-citizens in the country to 3,714,137 individuals. In 1985, when Senator Iwobi was already in the country, the number of foreign-born people in Italy holding a residence permit was estimated at approximately 423,000 (less than one-eighth of today’s figure). By 1991, that number had more than doubled, reaching 896,800. In 2000, the foreign population had reached nearly 1,388,200, with some 850,700 immigrants in Italy for employment reasons. The first immigration law in Italy (no. 943), was only passed in 1986 (after Senator Iwobi entered the country with a visa for study), and regulated immigrants’ access to the labour market. Following the union-led protest in 1989 which forced immigration on the government’s agenda, Law no. 39 (known as the Martelli Law) was passed in 1990, and recognized both the rights and obligations of immigrants. The main achievement of the Martelli Law was a broad-based amnesty that included employers and the establishment of an annual quota system with input from unions. It was during that time, on June 4-6, 1990, that the first national conference on immigration was held to discuss that phenomenon. However, Law no. 39 failed to define a real procedure for legal entry. This led to an increase in illegal immigration both because the Italian economy required a greater number of workers and Italian families a larger number of domestic helpers. On November 18, 1995, the centre-right government, under pressure from the Northern League to increase police powers to deport illegal immigrants passed Decree no 489 (known as the Dini Decree). Unions led a demonstration with 150,000 protesters against the threat of increased police powers, which the decree envisaged. The final decree was revised to include an amnesty and also had its most restrictive aspects dropped. However, and quite interestingly, the largest regularization of immigrants in the history of Europe (with the regularization of more than 650,000 immigrants) occurred in Italy in 2002, after the adoption of a new immigration law, Law no.189, named after two centre-right coalition leaders governing the country at that time. One, Umberto Bossi (the other being Gianfranco Fini) was the founder and the historical leader of the Northern League. This regularization occurred because the debate over undocumented immigration was shaped by the Italian private sector’s desperate need to replace a workforce depleted by the rapid aging and shrinking of the native-born population. Italy’s business community continued to be a powerful voice for increased legal migration, and Berlusconi’s government at that time responded with some revisions to Italian labour laws. These included a new provision allowing employers to hire an undocumented immigrant first and then regularize the worker’s status by petitioning the government for a permit that let the worker remain in the country legally. Senator Iwobi should consider this history when he makes his comments on the present situation of immigration to Italy, because he was lucky enough to land in Italy at a time when the bureaucracy was simpler and ways of changing visas (for instance from a study permit to a work permit) much easier than now. In short, his arrival was still in the period when migrants were seen as ’slaves’ to be exploited, when their numbers were much lower, and the bitter controversy across Europe had not been stoked up to current levels. Furthermore, when Senator Iwobi exhorts his African ‘brothers’ to stay put, he should not omit to mention the terrible violation of human rights that migrants encounter today in countries like Libya. The current reality entails the enforcement of measures making it increasingly difficult for migrants to gain legal status in the country. The increase and acceleration of forced returns even to those countries where the government is a dictatorship, like Sudan, or whose systematic violations of human rights are well known, like Libya, and the reduction in jurisdictional guarantees for asylum-seekers (denied any appeal against their rejected claims) are only two of the hostilities that many migrants have to face. That is a peculiar affirmation for the Nigerian-born Senator Iwobi to make, ignoring any lessons he might have drawn from his home country which in 2017 was ranked as the fifth most dangerous country in the world (the first in Africa) by the World Economic Forum. We might add that the US Government recently declared Nigeria the most dangerous country in the world for Christians (Senator Iwobi being one of eleven siblings in a Roman Catholic family). Senator Iwobi represents the attempt by an Italian far-right party to show the political world that this is a party not discriminating on the basis of the geographical origin of an individual. However, the entire history of this party shows the opposite with the ‘non ci sono italiani neri’ (“There are no black Italians”) as one of its historical, favourite slogans; and with the disgraceful treatment meted out by one of the League’s leaders to the centre-left, Congolese-born, Italian former Minister for Integration, Cecile Kashetu Kyenge, in 2015. As such, and contrary to what has been written in some Nigerian newspapers, I am not convinced at all that the election of Senator Iwobi signals an end to racism in Italy. It is sufficient to point out that, just in the aftermath of the March 4 elections, in Florence, an Italian killed a Senegalese street vendor for no apparent reason, with thousands of people turning out several days after the murder for an anti-racist march in memory of the Senegalese shot dead. In March 2011, Human Rights Watch published a report entitled: ‘Everyday Intolerance: Racist and Xenophobic Violence in Italy’, where we can read: ‘The Northern League political party […] has made anti-immigration policies a central plank of its political platform’; ‘[a]n advisor named Flavio Tosi […] of the Northern League, and five other local officials were convicted in July 2009 of propagating racist ideas in relation to a 2001 campaign against unauthorized Roma settlements. In February 2018, only several weeks before the election of Senator Iwobi, Amnesty International declared that Italy was “steeped in hatred, racism and xenophobia, and unjustified fear of the other” adding that 50% of discriminatory, racist, and hate speech came from the League leader, Matteo Salvini. Under these circumstances the history of decades is unlikely to be changed through the election of one, Nigerian-born, Senator.